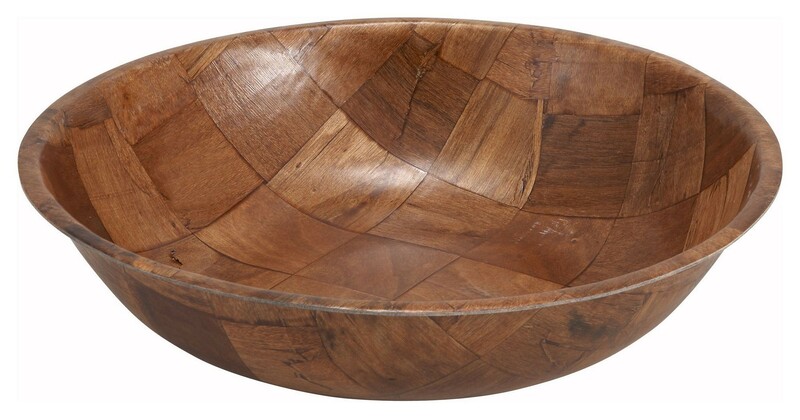 LionsDeal > Tabletop & Bar > Bowls >< Salad Bowls > Winco WWB-8 Round Woven Wood Salad Bowl 8"
Winco WWB-8 Round Woven Wood Salad Bowl 8"
The Winco WWB-8 Round Woven Wood Salad Bowl 8" is great for serving all kinds of fresh salads and snacks. With its wooden woven structure, it will look great at any table setting and its wide interior makes it easy to toss ingredients. This salad bowl is strong enough to handle frequent use in busy dining establishments and should be washed by hand to keep it looking as good as new. I brought the bowls as a gift and they love the bowls! Sent me over foods and everything! Best price around!! And great quality!! Love the bowls! Great product!